So, we have had one full day of the course. It started with registration, where we get given the essential information and then we split off into our welfare groups (who we meet with every morning to discuss the upcoming days events and if there are any problems, it’s a chance to voice them) for a few more pointers on what to expect. 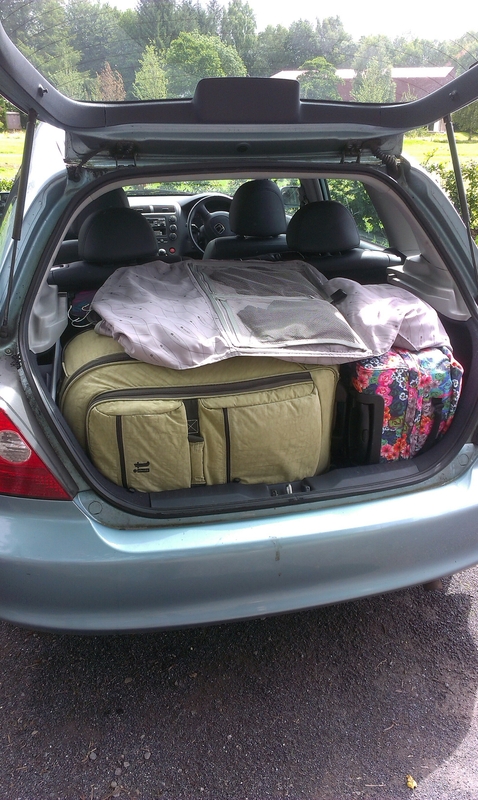 The boot of the car packed with all our stuff for the tour! Can't believe this is the last time I'll make the journey to Lampeter! After that, we headed off to our first sctional rehearsal. I’m in the first violins who are tutored by Adrian Dunn. We mainly worked on some of the trickier passages and working out all the different time signatures and beats so that we could survive in the full orchestra rehearsal later! The evening session was with everybody. We played through two of the three pieces (the Schmitt and the Stravinsky Rite of Spring. Both are very rhythmic in places and I found that playing on all the right off-beats far more challenging than the actual notes!! 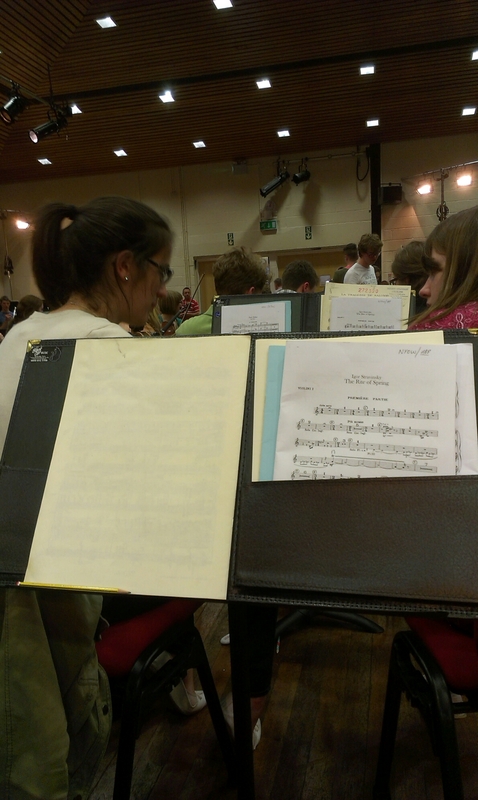 My view of the orchestra during a full rehearsal. In the evenings there are various activities involved (such as fancy dress mentioned here) and the event tonight was a few small ice breakers within our welfare groups. It gave us a chance to meet new members, and once they were over we were able to relax and have a catch up with (or get to know) the other members of the orchestra. I’m looking forward to getting stuck into rehearsals today! Hopefully I’ll be able to get me head around a few more of the complicated rhythms….